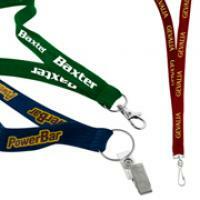 Key rings and lanyards are functional, inexpensive tools for your business while name tags are an essential part of day-to-day operation for many clients. 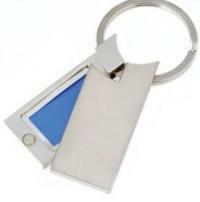 Our key rings are available in metal or plastic, ready to customised with engraving or printing. 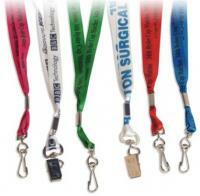 We custom-manufacture lanyards in a range of colours and styles. 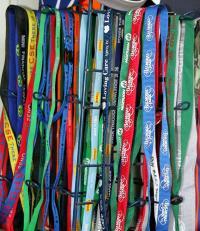 We generally suggest webbed material, which gives the lanyard a unique texture. 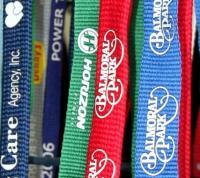 Logos or messages are printed directly on the lanyard during manufacturing and they are finished with metal or plastic attachments. 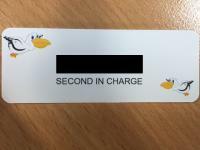 Our name tags are done in hardy plastic with strong clips and prominent branding. 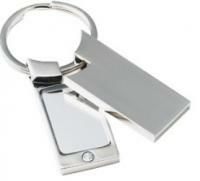 It would be our pleasure to discuss your key ring, lanyard or name badge designs.